For years during the Berlusconi era, Milan have enjoyed the view from the top – finishing at or near the top of the table, and winning the Champions League trophy five times. But if you switch your focus to the top of the organization, it shouldn’t be hard to see how we got where we are today. Or why the view from the top of Milan’s management has become so clouded by financial concerns and mismanagement that we can no longer see a bright future. 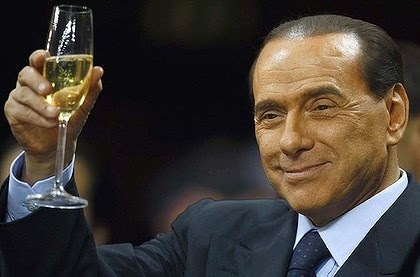 Many hold Berlusconi in high esteem, as he rescued the club from bankruptcy, injected massive amounts of cash, and funded the teams that won so many trophies. And it’s true, we as fans should be so very grateful for his benevolence. But not many realize the self-destructive issues that have increasingly caused problems at the club since he purchased it. Like when he fired the very successful Arrigo Sacchi because Van Basten didn’t get along with him (and Van Basten, though brilliant, spent much of his time at Milan injured.) Or his lust for more strikers – always more strikers – is almost as well known as his penchant for underage women. And that penchant for underage women has cost him millions in legal fees and about €3m per month in alimony to his most recently divorced wife. Sure, it’s his life, his money. But is there really no correlation between his losses from his other companies and his personal life and the lack of spending on Milan? Because on a timeline, they correlate perfectly, and Milan has come up empty-handed. 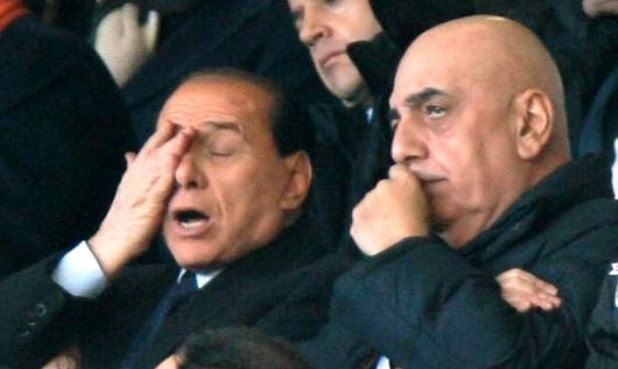 While Berlusconi has always meddled in the affairs of Milan, always given us epic sound bytes that would make even the most casual fan facepalm, it may be his trusty sidekick, Galliani, who has actually done more damage. Widely known as a transfer “guru,” and king of the free transfers, he is also incredibly talented at negotiating wages the club can’t afford, or contracts that outlast the players’ careers. His deals with buddy Enrico Preziosi are very questionable, and even the newest fan could see beforehand what an epic fail the Matri transfer would be. He let the Senatori stay into their retirement years, and then sent them packing all at once, leaving a massive void in talent, experience, and the dressing room. He is unapologetic, and in recent years become down right insulting to the fans, certain players, and anyone who questions his autocratic leadership and transfer matters. Like when a massive blunder was made such as selling Ibra and Thiago Silva, he said repeatedly that the fans needed to be grateful instead of even attempting some type of apology for his signing of and wage agreements of the players that were not sustainable. "She's onto us. How are we gonna frame it now?" But it’s not just his transfer policies, his penchant for bringing old and washed up players to Milan “on a free” with not-so-free wages that made our wage bill, even after making a lot of cuts, second only to Juventus in Serie A. (with a team that is hardly competing for second.) He’s been accused of shady dealings by other clubs, and it was evidence of his wrongdoings that saw Milan docked 15 points for the 2006-07 season in the Calciopoli scandal, and nearly miss out on the Champions League that season (which we ended up winning after being allowed to compete.) Recently, Maldini accused him of feeling omnipotent, and it’s true, whatever he wants, Galliani seems to get. Conversely, whatever he doesn’t want, he doesn’t get, like hiring club legend Paolo Maldini for any job at all at Milan, something pretty much every fan definitely wants to see. Enter Barbara Berlusconi. Her father wants to keep the club in the family, so he brings her onto the board three years ago, having sat on the board of Fininvest for eight years prior to that. It didn’t take her long to figure out that there were some shady dealings going on, which she made the mistake of questioning, creating a bigger rift between her and Galliani. And she personally protested the sale of Thiago Silva with a six page report explaining why it was such a bad idea. But no one listened. 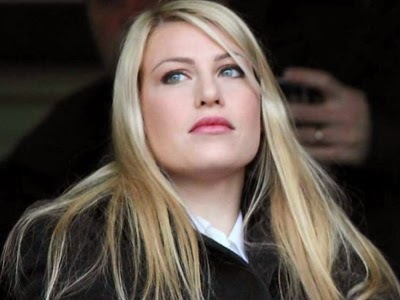 Finally, in November, when results were terrible and who knows what was going on behind the closed doors of the Milan boardroom and Galliani threatening to resign, she was promoted to joint-CEO with Galliani. Which was impressive for someone who had less than three years’ experience in the football industry, but also quite telling of the level of excrement happening at the top of the club. Waiting until Milan’s proverbial ship was sunk to make a coaching change was just one more example of how much management’s follies are affecting the club. Maybe in 1986, when Berlusconi bought the club, things seemed rosy. Or with Sacchi’s, Capello’s and even Ancelottti’s Milan teams, you could ignore the destructive behaviors of the president and vice president because of the successes that their douchebaggery (and lots of cash spent) created. But years of mismanagement have finally lead us to this point, where the foundations of this great club are finally visible with all of their cracks and flaws and band-aid purchases over the years having eroded away nearly all of the greatness. It may be the club that Berlusconi built, but it is also the club that Berlusconi built. Meaning it is not a club with a transfer strategy, a plan, a project, or anything but a win-at-all-costs-until-you-run-out-of-money-then-pass-the-buck mentality. Fans have been encouraged by the ideas and transparency of Barbara Berlusconi, but she hasn’t been given any real power that affects the team, the results, or the fans. So while the club has enjoyed a long time with a view from the top, it’s going to take a lot more than two CEO’s and an inexperienced coach to keep it from crashing to the bottom.